Going around the monasteries he came upon a monastery where there is an ancient tradition to keep skulls of deceased monks. "I went into the crypt and then life was divided: 'before' and 'after'. When I was going back I met a Greek monk and we talked about the meaning of life. His English was poor... And suddenly he started singing!" Father Gerasimos recalls. According to him, it was then that he decided to become a monk. "I made a decision in few seconds. Having returned to France, I delivered my report to the magazine, sold my estate and became an ordinary monk on Athos. I spent many years in the Holy Land at Saint Savvas Monastery in the Judean desert. I met my spiritual father there. 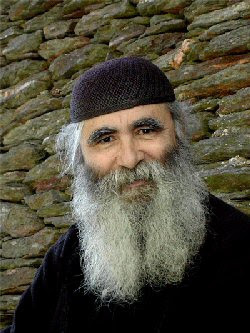 I realized that death is not the end," Father Gerasimos tells about his spiritual way. 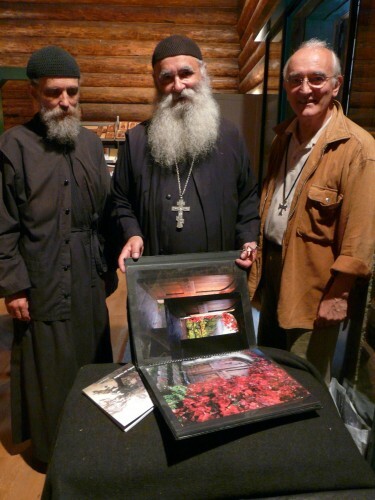 He became a monk, but he is still a photographer, though he managed to found and become rector of an Orthodox monastery in the French town of Cévennes. Frère Jean's (or Brother John, as he is known among artists under this name) exhibition will take places in Nizhny Novgorod. See his official website here.